Prof. Mordechai Zalkin, PhD, Ben-Gurion University - East European Jewry: Who is in? who is out? or - what is it all about? Prof. Ládislau Gyémánt, PhD, Babeş-Bolyai University- The Jews of Transylvania and Their Role in the History of the Romanian Area. A Comparative Perspective. 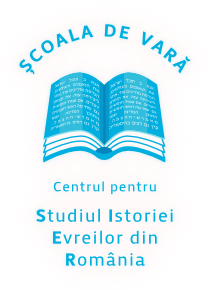 Roundtable: The Museum for the History of Romanian Jews; prof. Liviu Rotman, PhD, Adrian Cioflâncă, Prof. Lucian Nastasă Kovacs, PhD, prof. Ladislau Gyemant, PhD; prof. Camelia Crăciun, PhD.